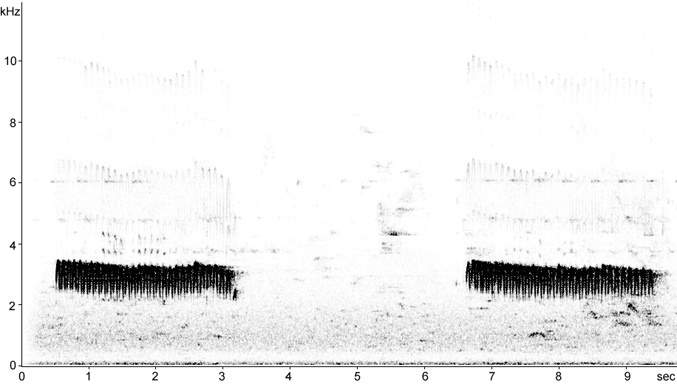 Male singing 'slow song' from outside nest in London Plane; up to eight strophes per minute. 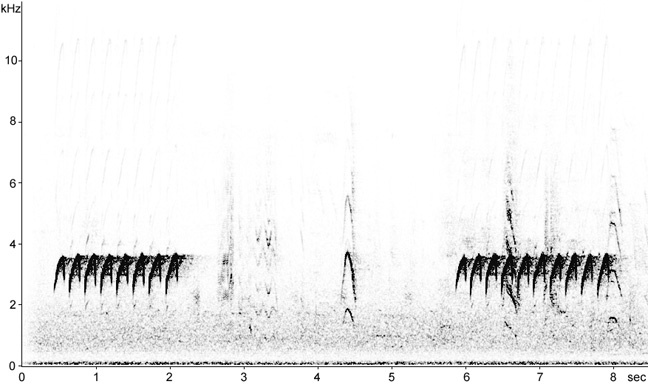 Male singing 'fast song' from outside nest in London Plane; up to 10 strophes per minute. 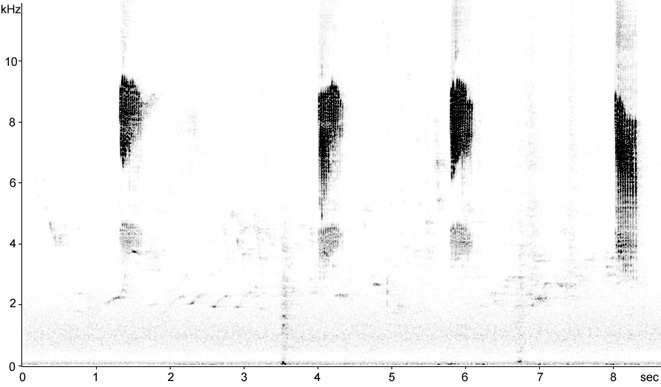 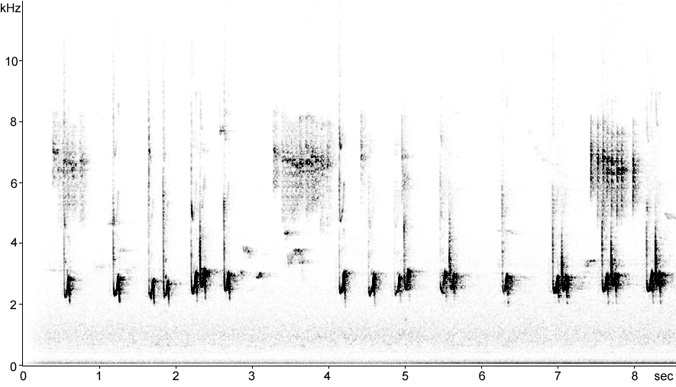 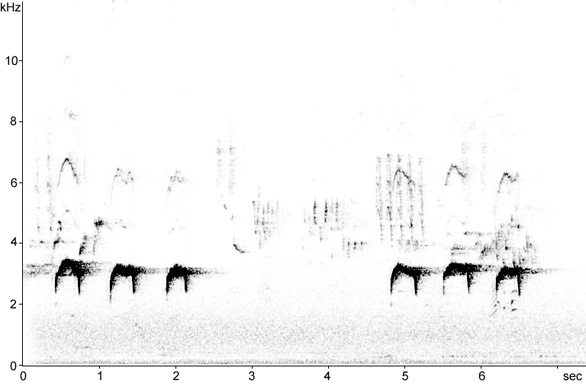 High pitched (up to 9.55 kHz) rapid, trills, possibly in response to a Grey Squirrel.